Get your frying pans at the ready folks, Tuesday February 17 2015 is Shrove Tuesday and this year’s pancake action need not be confined to the kitchen. 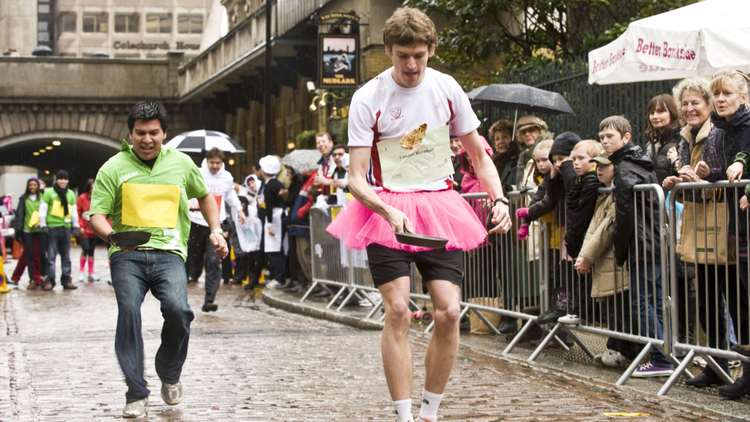 Pancake races across the Oval Road will see everyone from hipsters to MPs tossing their way towards the finish line. And tossers don’t come bigger than Gavin Barwell?